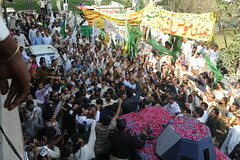 Moonis Elahi is a Political Prisoner of Pakistan. 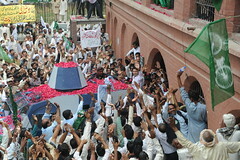 Moonis Elahi has created history. 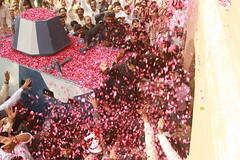 LAHORE: PML-Q President, Senator Ch Shujat Hussain on Friday said his family had always reposed confidence in the free judiciary and Moonis Elahi’s acquittal was reflective of freedom of judiciary and victory of truth over fiction. 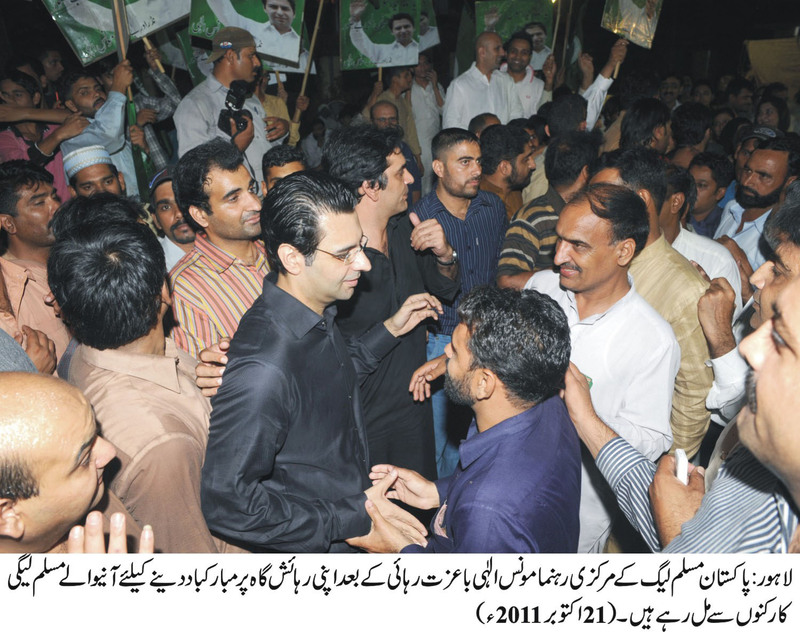 Talking to the jubilant Leaguers and workers on the release of Moonis Elahi at his residence here, he said our heads are bowed before the Almighty Allah on MPA Moonis Elahi’s acquittal, adding that PML-Q was equally thankful to the judiciary. With reference to free judiciary in the country, Ch Shujat Hussain said Moonis returned to the country fearlessly after he heard of the false cases against him, adding that he had complete faith in the integrity of institutions in the country. Senior PML-Q leader, Federal Minister Ch Pervaiz Elahi, PML-Q leaders Ch Wajahat Hussain, Ch Shafat Hussain and Rasikh Elahi have thanked the leaguers for their constant support and steadfastness during Moonis Elahi’s trial. 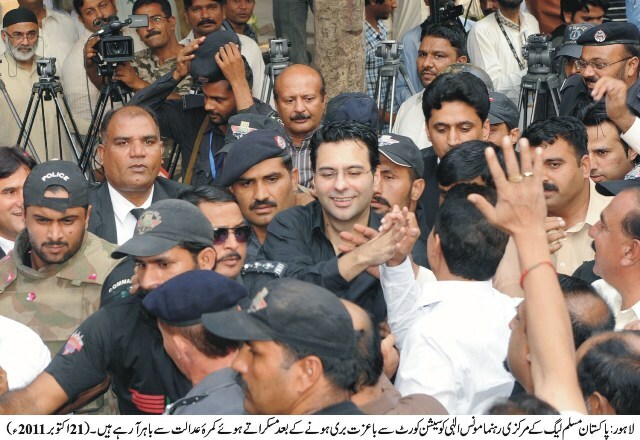 Moonis Elahi released honourably. No allegation proved against him. The hearing of the application filed by Moonis Elahi for acquittal in the National Industrial Corporation Limited (NICL) scam was adjourned by October 15 as District and Sessions Judge Mujahid Mustaqeem was on leave. Previously, after appointment of new prosecutors by the FIA, the court had directed FIA prosecutors Chaudhary Muhammad Aslam and Zia Islam to argue on Wednesday on acquittal application. 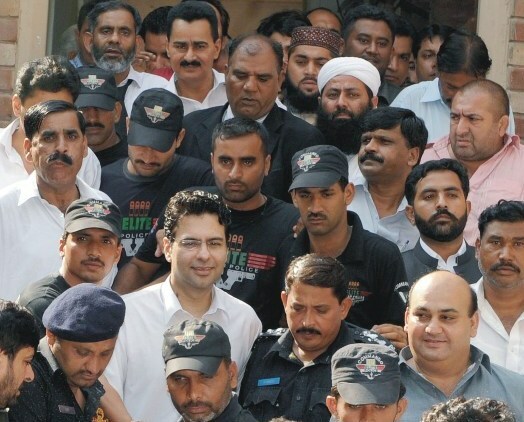 In earlier proceedings, the counsel of Moonis Elahi had argued that the FIR lodged by the FIA in the NICL case had no mention of Moonis Elahi and that all the prosecution witnesses presented by the FIA had also categorically denied giving any statement against his client. He requested the court to acquit his client on these grounds. On being invited for counter arguments by the court, Chaudhry Muhammad Aslam, the FIA prosecutor, asked the court for more time to study the case as he had been recently inducted in the NICL case. 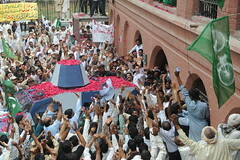 Lahore (08 October 2011) District & Sessions Judge Mujahid Mustaqeem in the capacity of Special Judge Banking Courts adjourned the hearing of Moonis Elahi’s acquittal petition in the NICL case till October 12. Moonis Elahi’s counsel Amjad Parvez addressing the Honourable Court that the FIR lodged by the FIA in the NICL case had no mentioning of Moonis Elahi and that all the prosecution witnesses presented by the FIA had also categorically denied giving any statement against his client. The learned counsel requested the court to acquit his client on these grounds. On being invited for counter arguments, Chaudhry Muhammad Aslam the FIA prosecutor asked the court for more time to study the case as he had been recently inducted in the NICL case. The Honourable Judge gave him till October 12 to complete his findings. 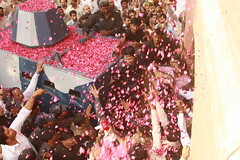 The Honourable Judge also directed the FIA officials to produce other witnesses if there were any on October 12. It should be borne in mind that the FIA officials in the previous hearing of the NICL case had asked the court for more time to produce fresh witnesses that at today’s hearing they had none to present. 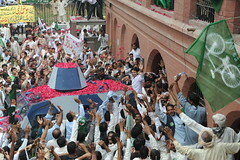 Moonis Elahi was brought amid tight security to the court where he was welcomed by an enthusiastic crowd comprising various Pakistan Muslim League’s leaders and workers. 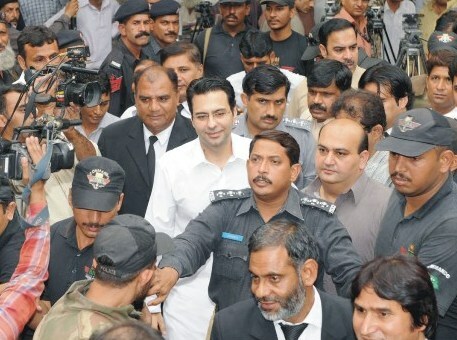 Moonis Elahi’s case proceedings adjourned till October 8. The proceedings of NICL case have been adjourned till October 8 due to the non-presence of District and Sessions Judge Lahore in the city, Geo News reported Monday. The hearing of the case of the alleged involvement of accused Moonis Elahi was supposed to be held in the court of Sessions Judge Mujahid Mustaqeem but as he was not present in the city, the proceedings were adjourned till Oct 8. 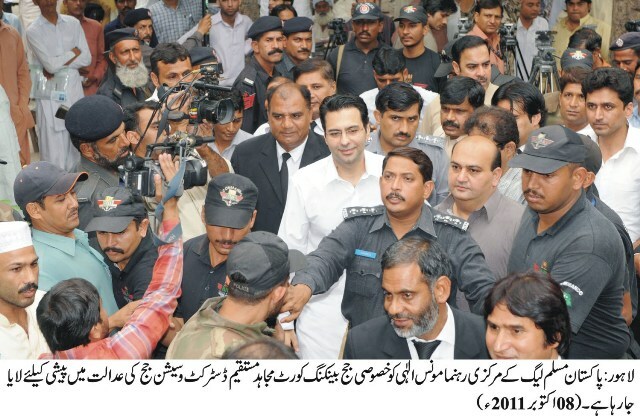 Today, Moonis Elahi was also not presented before the court.